Wine lovers will get a kick out of this fun yet functional corkscrew. 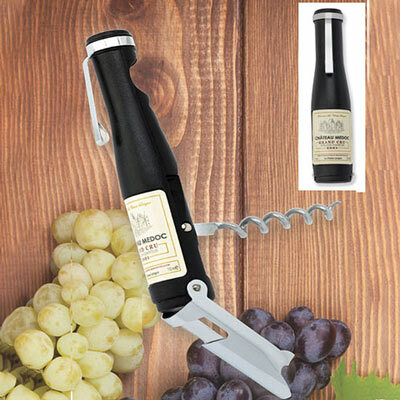 Shaped like a fine vintage, this Wine Bottle Opener features a realistic "wine label" on the front, pull-out corkscrew in back and handy clip. Closed, 5"l, 1" dia. Corkscrew, 3"l. Hurry! Quantities are limited!